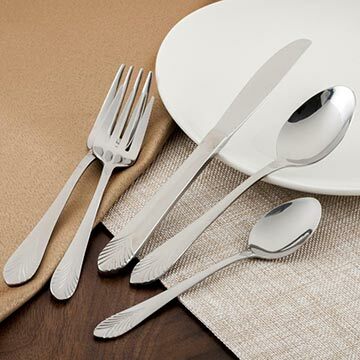 Showcase flatware has a lovely finish and exquisite pattern detail. Flowing, geometric lines define its soft, curved handle. Linear and symmetrical, Showcase is a popular choice for operations wanting to add elegance to the tabletop. Constructed of 18% chrome stainless steel, Showcase offers long lasting durability and value.